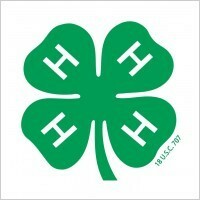 4H Creed: I believe in 4-H Club work for the opportunity it will give me to become a useful citizen. I believe in the training of my HEAD for the power it will give me to think, plan and to reason. I believe in the training of my HEART for the nobleness it will give me to be kind, sympathetic and true. I believe in the training of my HANDS for the ability it will give me to be helpful, skillful, and useful. I believe in the trainingof my HEALTH for the strength it will give me to enjoy life, to resist disease, and to work efficiently. I believe in my country, my state, and my community and in my responsibility for their development. In all these things I believe, and am willing to dedicate my efforts to their fulfillment.